Youth who are committed to a future in agriculture are invited to attend a special event hosted by Virginia Farm Bureau Young Farmers and Farm Credit on October 28th in Harrisonburg. 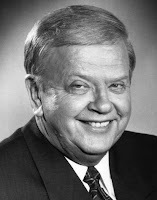 Orion Samuelson, famed RFD-TV personality will be present to discuss the future of agriculture. He is backed by a panel, including the Virginia Commissioner of Agriculture, an NCBA rep, and several active adults who are advocates for youth in agriculture. Space is limited, so pre-register by calling Jeff or Jim at 540-234-0548.